This match is for Trevor Lee’s CWF Mid-Atlantic Heavyweight Championship. The belt has a classical look, similar to a territorial belt of the 1970’s or 1980’s but with a modern shine to it. That is fitting since this is much like a modern version of a classic match. They lock up and Lee goes for a front facelock but they release. They lock up again and Lee goes after the leg and gets a sunset roll-up. They jockey for position and release again. We have yet another lock-up and test of strength. Lee takes Day down and attempts to pin him. Day is on top briefly but Lee gets his ankle. Day grabs a front facelock and gets Lee in a bow and arrow but Lee rolls onto Day for a pin attempt. Lee takes control and gator-rolls Day but Day gets a leglock. Lee grabs his arm and stretches him. They’re on their feet and Lee backs Day into the corner. Day leg-kicks Lee who lifts Day in a stretch and presses him with his legs. They trade wristlocks and lies down for an attempt at an up-kick but Lee catches him and attempts an STF. Day blocks him and misses a head-kick but Lee avoids it and backs into the corner. Day grabs a wristlock and Lee twists out. Day grabs a single leg takedown and ends up in a cross armbreaker briefly. Day gets up and Lee misses a head-kick. Day attempts a backslide but Lee blocks it. Lee misses a clothesline and Day does a hurracanrana with Lee landing in a standing position. Lee then does a hurracanrana but Day lands on his feet. They both throw kicks and catch each other’s feet. Trey release and Lee throws kicks to the chest. Lee goes for a German suplex but throws Day down, hits him with a knee to the kidneys and elbows to the head. Lee grabs Day’s arm and stars kicking it. Lee stomps on the arm. Lee grabs the wrist, places Day’s arm in a hammerlock against the mat and stomps his elbow. Lee kicks Day in the arm. He wraps up Day’s arm in the ropes in the corner and chops him in the chest. Lee goes after Day’s fingers but Day kicks him in the leg. Lee avoids a charging Day who lands on the apron and hits a boot to the face to knock down Lee. Day goes to the top rope and Lee goes for a superplex. Day gets down and kicks Lee’s legs out and drops him face-first on the turnbuckle. Day hits a missile dropkick. Day ties up Lee’s arms in the ropes and kicks him in the chest. Day kicks Lee in the chin. Day grabs a wristlock and kicks Lee in the chest again. Day hits a forearm strike and continues with chest-kicks. Day tells Lee to stand up and he throws forearms but Lee blocks and hits elbows. Day throws a spin-kick. Day grabs Lee in a bodyscissors from behind and then rubs his elbow into Lee’s face. Lee stands up with Day on his back and drives him into the corner. Day grabs Lee’s arm but Lee puts him in an octopus. Lee snaps Day’s fingers. Day throws more chest-kicks but Lee catches one and misses a punch. Day hits another spin-kick but Lee fires back with a big lariat. Day charges Lee who backdrops him to the apron. Day rams Lee’s head into the turnbuckle and kicks him into the head. Day goes up top but Lee leaps from the mat to the top rope and gives him a superplex. They get to their feet and trade several uppercuts and forearms. They shake hands and start slapping each other across the face. They trade several chest-kicks and then trade bicycle kicks. They both hit a bicycle kick at the same time and then both hit head-kicks at the same time. Lee lifts Day off the mat, hugs him and the referee raises both their arms. 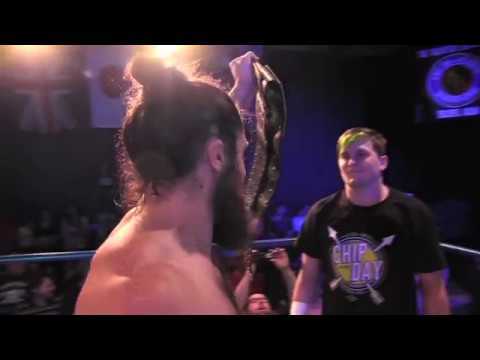 Lee chants “Thank you Chip” as he goes to the back and the fans do the same. Day gets up looks tearful as celebrates the match and walks to the back. This was one of the best matches so far in 2017, a year that has seen some incredible matches. I have no problem going with other opinions out there and rating this five stars. It really felt more like an old school Japanese match than anything I’ve watched in a while, including matches from Japan. It had great pacing, great intensity and built to an amazingly strong finish. This could fit into any era in a lot of ways but really feels like it is most suitable in 2017 as an homage to all the previous greatness in wrestling that inspired it. I am more familiar with Day from the Scenic City Invitational and he’s been great in that setting but stepped up to another level here. Lee has been great everywhere I’ve seen him including PWG and SMASH but this is also the best work I’ve seen from him. 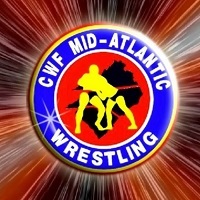 You don’t need to have any previous history with CWF Mid-Atlantic to jump in and watch this from their 102nd CWF Mid-Atlantic Worldwide show in Youtube. Believe the hype and watch this mind-blowing match now.